Sublijet-IQ inks are formulated specifically for Epson printers to consistently produce bright, vibrant, accurate colors, especially when used with the Sawgrass PowerDriver. 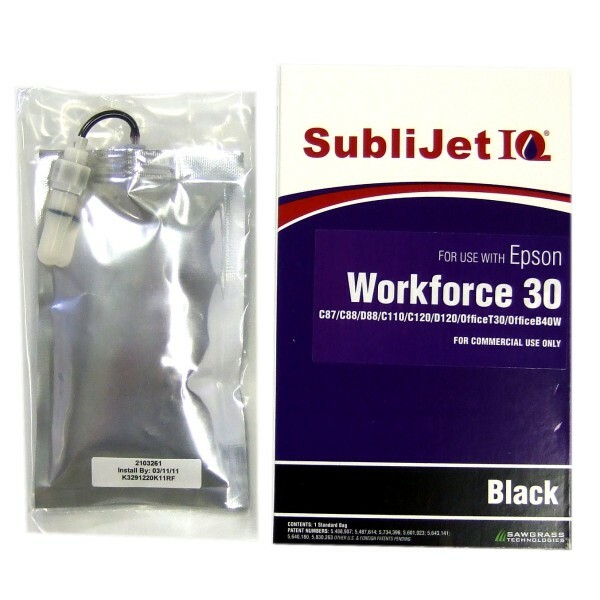 All Sublijet-IQ inks are environmentally friendly, water based inks designed to work exclusively with Epson print heads and are available for a select group of Epson printers, in cartridges, extended high capacity cartridges, or high capacity refill bags for bulk CIS / CISS, depending on the printer model. If you don't see ink listed for your printer, ask us, as we can sell ALL currently available Sawgrass inks on the market today, and will obtain and carry stock on hand for you at your request.